HI, everyone! Welcome to the first ever Journey Blog Hop! I'm so happy you're hoppin' along! 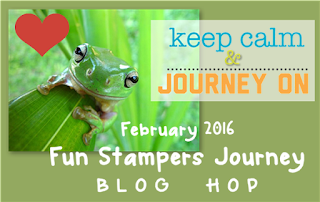 If you arrived here from Cindy Bristow's Blog, you're on the right track. If not, that's ok too! Just continue the hop and you'll come full circle!" 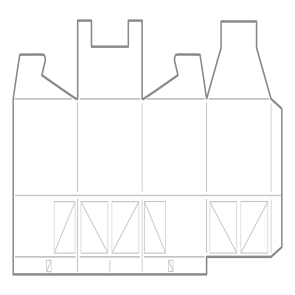 As well as, the main part of the project, our super cute Milk Carton die!!! All of the supplies used are available for purchase on my website, www.funstampersjourney.com/janicewhiting . Any comments from non-coaches will be entered to win this favorite stamp of mine! Thanks so much for hopping to my blog. Please head over to the fabulous Christine Pennington's blog to see what she has to share. "Ima Coach" here LOL -- drats, I "LOVE" that ATS stamp too. This is great. Love the milk carton. Love the idea, I never think to use my milk carton, now I will! thanks! Great job! Too cute! Love the Sweet Berry and Oatmeal Cookie together and love the Banner Party bunting. Gotta get that milk carton die out!!! Love this! Cute gift idea. Adorable! Love the color combo and wooden clothespin at the top - great time to stock up while Plus one is going on! Super cute and fun. I love it. Happy Valentines Day to you! Great 3-D project and good for many occasions! A treat box to use for all occasions. Love, love it. Thanks for sharing such a cute project!! I'm a new coach and this blog is really giving me some great ideas!! oh, and it is gret to see some of the embellies used ... i had no idea that the hearts are that big -- LOVE 'EM! Love what you did with the milk carton! The treat box would be so cute to give as a gift for my students! The milk carton is a very cute idea! Coach Carol here. This is just adorable! Great use of the die! That Milk Carton is to die for!!! Thanks for giving me inspiration on a great way to share treats! Love the milk carton die! Beautiful! The milk carton is so cute. Love the layers. Love your milk carton Janice - I have one that I made years ago that comes out every few years for Valentines :-). I can see why that stamp set is your favourite - I love the humour in it!